I received a review copy of this cookbook from NetGalley in exchange for an honest review. I'm always interested to see cookbooks from bloggers, and Bethany Kehdy was known to me from her Dirty Kitchen Secrets blog. The photography alone in this cookbook makes it a worthwhile purchase, truly vibrant and enticing photos. The cookbook is divided into very practical sections, by meal type, making it simple to use. There is a regional but varied collection of Lebanese, Moroccan, and Persian recipes, with a nice combination of basics and new spins on traditional recipes. I particularly appreciated the vegetarian section, since this area of the world has great vegetarian cuisine! The basics section in the back has a wealth of recipes that would be an asset to any kitchen, including spice mixes, bread recipes, and other staples. Coconut flour and I aren't quite getting along yet. When I first tried using it, I ended up with baked goods of amazing density. As I got better at finding recipes with better ratios (coconut flour needs a LOT more liquid), I had such successes as Coconut Flour Pancakes and my own recipe for Crumble. Then there are recipes like this one, where everything is just a little too moist, a little too soft, despite attempting to bake them longer. I suspect one culprit may be that I adapted this paleo recipe by substituting Splenda for the honey, but I was so concerned I'd throw off that moisture balance that I added milk. Completely unnecessary. Not to mention that bananas are so high in carbs and sugar, it isn't like this recipe ends up being very low-carb the way that many coconut flour recipes do. Ah well. It wasn't awful, and I thought the coconut on top was tasty too. Combine bananas and melted butter. Mix well. Add eggs, [honey], and vanilla and whisk until eggs are combined. 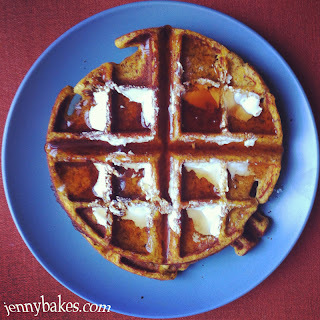 I adapted a few recipes I found online for low-carb pumpkin waffles to use the ingredients I had on hand. We wanted pumpkin! These were good; the spices really added to the flavor. 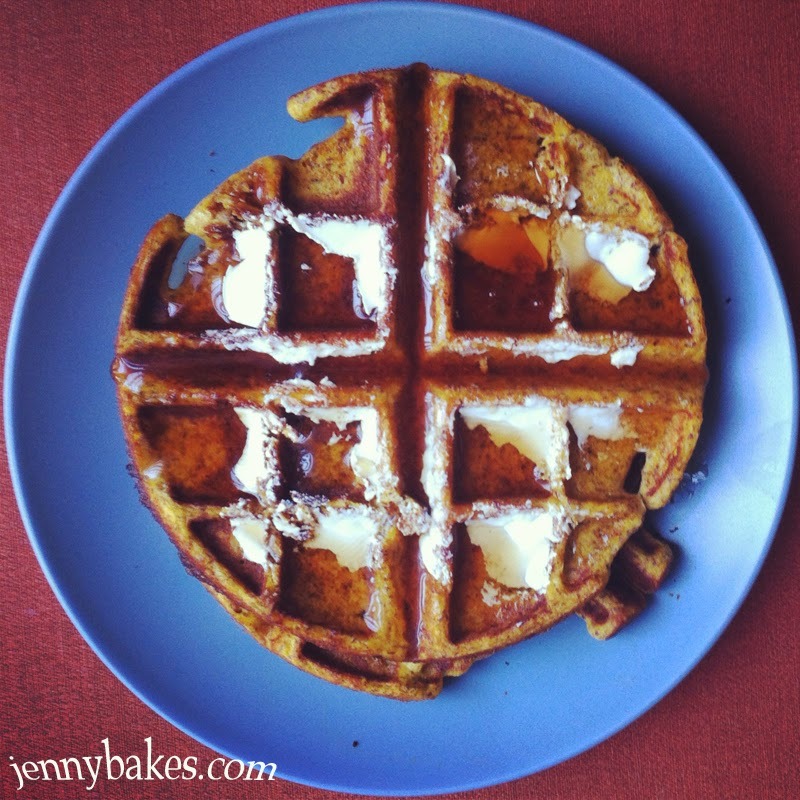 And I've made waffles with this protein powder and flaxseed trick before. In a large bowl, mix all ingredients until smooth. Cook batches in pre-sprayed waffle maker on medium high temperature until bubbles form on the surface, then turn over and cook until dark golden brown. 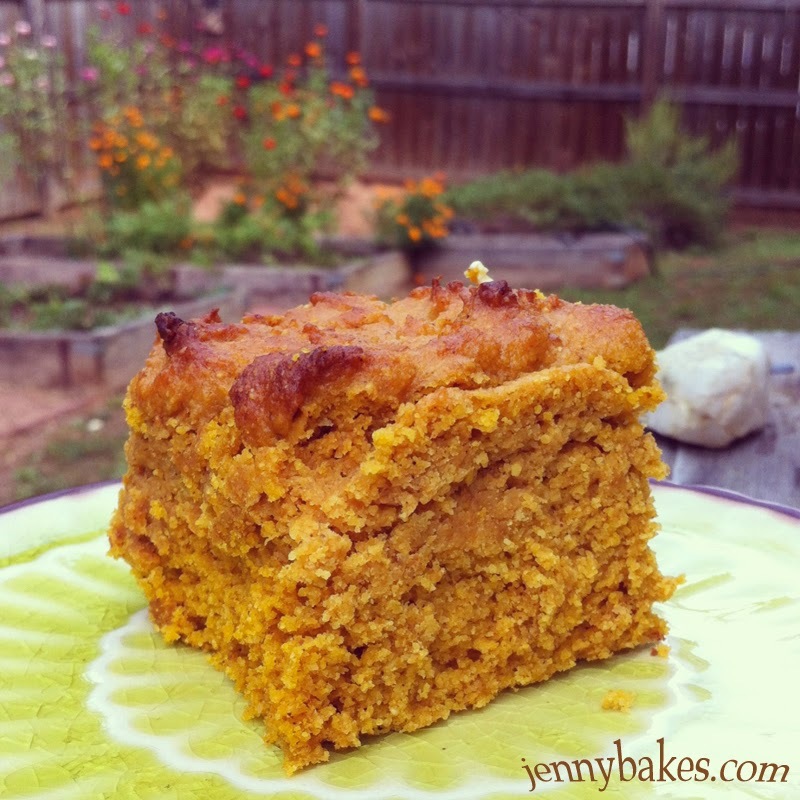 I've been starting to think about Thanksgiving this year because we have family coming, and this pumpkin cornbread was my first recipe test success! 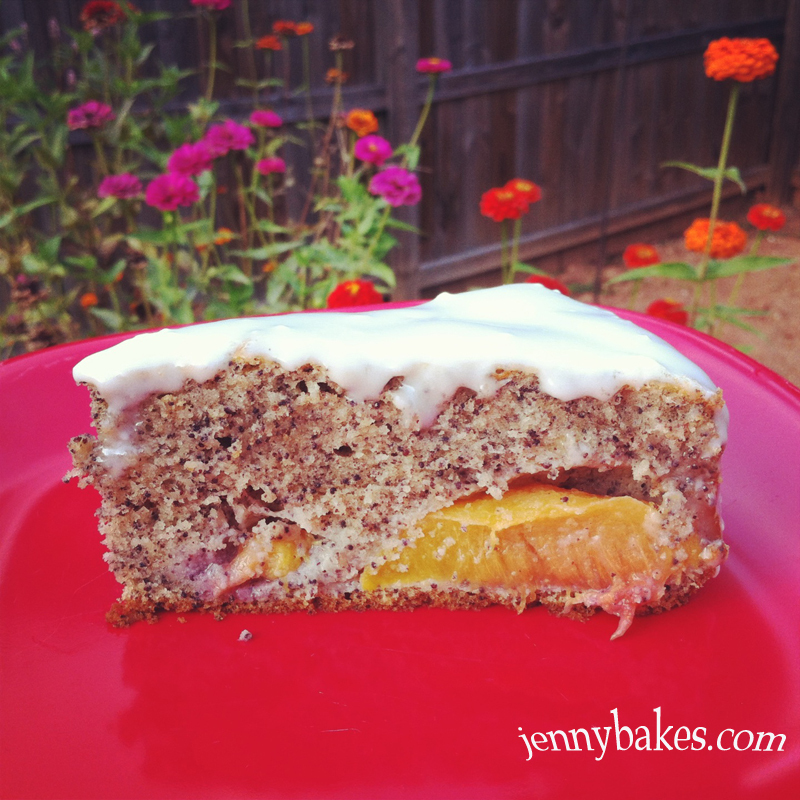 Not too sweet, hearty, textured - this is a winner! When I make it again, I'll go ahead and make in muffin form like the original recipe at Sweet Pea's Kitchen gave as an option. I think as is, it took a bit too long to finish baking in the center. This will be so good with cinnamon-honey butter! Preheat the oven to 400 degrees. Grease an 8×8″ cake pan. In a medium bowl, whisk together the flour, baking powder, salt, spices, brown sugar, and cornmeal; set aside. In the bowl of a stand mixer fitted with the paddle attachment, lightly beat the eggs, and then stir in the pumpkin, oil, and molasses. Stir the wet ingredients into the dry ingredients just until combined, and then pour the batter into the pan, smoothing the top. Bake 25-30 minutes or until toothpick inserted in the center comes out clean. This recipe makes 12 cornbread muffins, reduce baking time to 10 to 12 minutes. As someone who frequents an amazing Jewish deli in my city, yet has only had partial success in making my own bagels, I thumbed through this book with awe and trepidation. The author makes it LOOK easy, but many of these recipes take quite a bit of finesse - babka, rugelach, bagels. Most of the recipes in here are very traditional, but that's completely the point. I'm happy to keep trying to perfect these recipes, and this book makes me want to try again. Many of the recipes have seasonal variations, which I thought was a nice touch. I've had dreams of the chocolate babka french toast since I saw the picture. That may be our holiday breakfast this year! 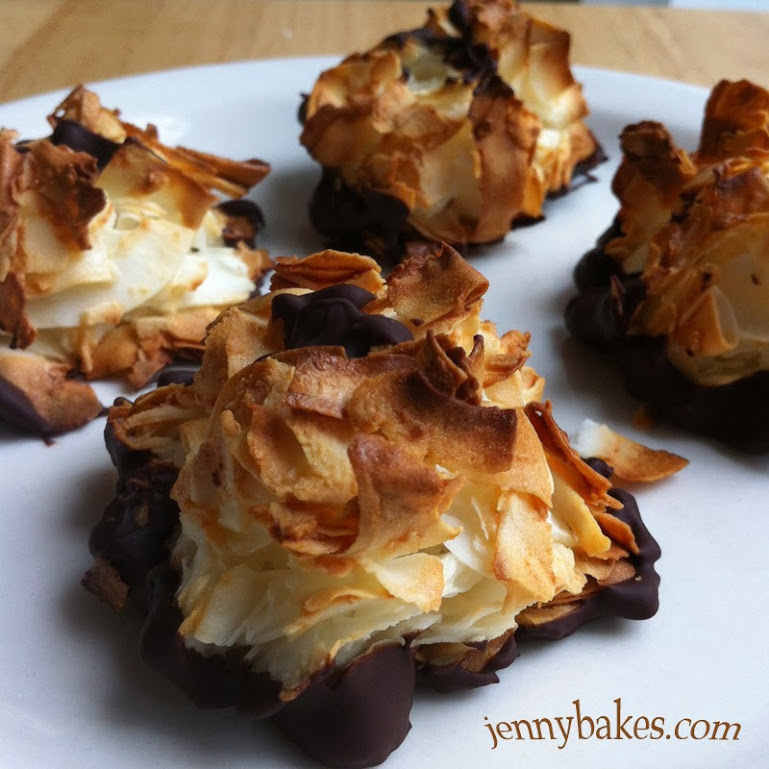 I did adapt one recipe to a lower sugar macaroon, and although they got a bit toasty, they were still tasty! This cookbook is very specific, focusing solely on the desserts of Southern Italy. No breads, no main dishes, no cheeses, just desserts. As a baker, I thought this was a wonderful concept for a cookbook. What usually happens is that I will go looking for Italian desserts and I'll come across gelato, ricotta cheesecake, and those fried honey balls that are from several Meditteranean cultures. The specificity of this cookbook allows for a much deeper exploration of a regional cuisine that needs more attention! The only recipe I could not even fathom is the Crostata al Gelo di Mellone, which is a watermelon pudding cake. But it sounds so strange, and looks so interesting, that I just know I'll end up making it. I'm always the most interested in the recipes I can't imagine. The cookbook is saturated with historical context, in fact more of the pictures are of scenery than of the recipes. For me, I would have liked more pictures of the finished product, but the contextual information is fascinating and makes the cookbook very readable. Einat Admony is the chef-owner of two NYC restaurants - Balaboosta and Taïm (a falafel/smoothie vegetarian place!). While you might expect this cookbook to be a companion book to the restaurant of the same name, it really isn't, except for one chapter called "Fancy-Schmancy," which features recipes from the restaurant. Balaboosta is a Yiddish term meaning "the perfect housewife, homemaker, wonderful mother, cook & gracious hostess. She does it all and she does it well!" (definition taken from restaurant website). The idea is that Einat Admony is the embodiment of a balaboosta, and she includes recipes that span her own heritage as well as the broader scope of Mediterranean cuisine. If that sounds a bit far-reaching, well, it is, but there are traditional recipes alongside modern takes on dishes in this book that I really appreciated. The sections are not divided by type of dish, but rather by theme. There are chapters such as "Grown-Up Table," "Hurry, Hurry, Hurry," and "Backyard Barbecue." This makes for a more difficult quick reference, but aids in meal planning for entertaining or just making dinner. I had also marked the Casablanca Catch and Challah from the "Grown-Up Table" section, Moroccan Carrots and Eighteen-Minute Rice from the "Hurry, Hurry, Hurry" section, and Sabich (an Iraqi eggplant sandwich), baklava, and Sambusak (Israeli empanada-ish dish) from "Thinking About Home." The "cook/bake the book" people over at Serious Eats recently made the baklava, and the recipe is available over there if you want to take a peek. The last recipe I had a chance to try were the Space Cookies. 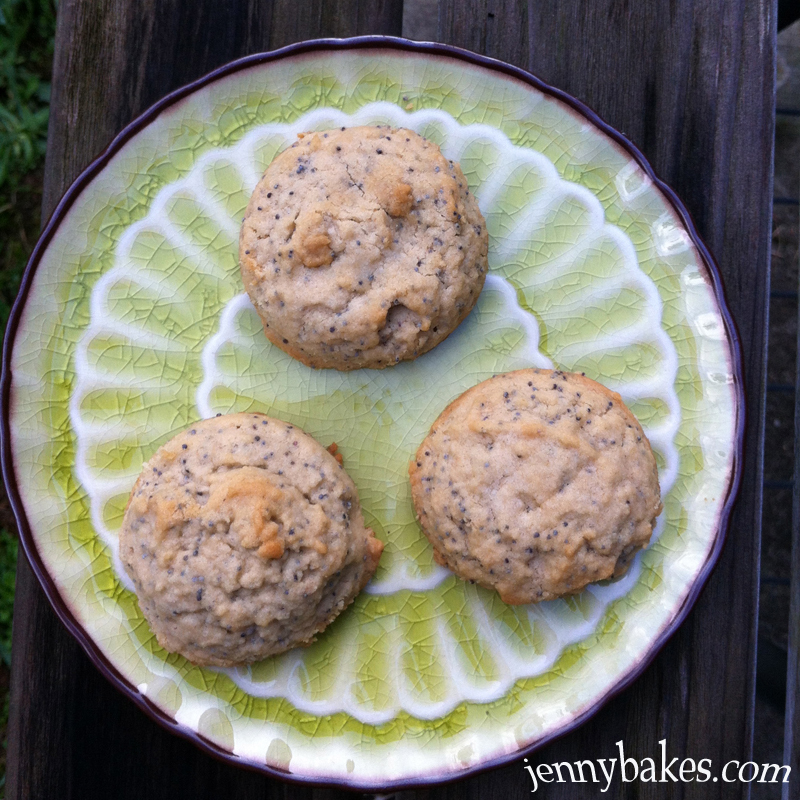 The recipe calls for tahini and poppy seeds, and I had always wanted to try tahini in a cookie after seeing it all over Turkish baking blogs. I'm not sure what I personally thought of the recipe - there were no eggs in it so the texture was more like shortbread, very crumbly, and I thought the tahini was pretty savory for a cookie. I brought them to work and my student workers were equally torn, until two guys came in and ate the rest between the two of them. Although the verdict was mixed, I think they were definitely appreciated by those two. The one recipe I will most definitely still make because I can't get it out of my head is the Turkish Coffee Brownies. I had to track down cardamom at the spice store downtown because none of the local grocery stores seem to be stocking it these days, and then there is the challenge of keeping chocolate in the house... but someday, it will happen. Someday soon. And that recipe is a great example of the combination of traditional ingredients presented in a new way - Turkish coffee in brownie form. Even after making mohnkuchen and space cookies, I still had poppyseeds to burn! 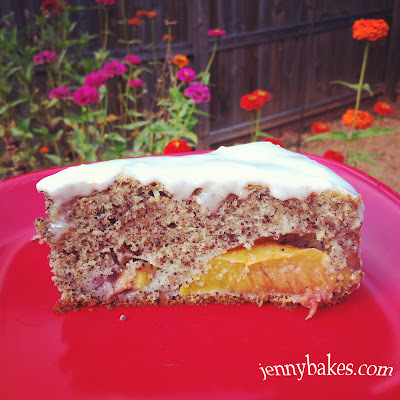 My new friend Angelika sent me a recipe for a poppyseed-nut-peach cake, and after finding local peaches at the farmers' market, I decided to give this one a go. I'll include the recipe as converted to American measurements, although Angelika did the translating. It should have nuts, but I was out. It also should have a jam glaze but I didn't have any light in color, so I made a simple butter-powdered sugar-cream-rum glaze for the top. Cream soft butter with sugar until creamy. Add eggs one of the time, beating after each addition. Put batter in greased and floured Springform pan. Push peach slices down into batter, smooth backs showing, in whatever pattern you desire. Heat jam with rum and spread it out on cake. Let it cool and decorate as desired. Einat Admony is a 21st-century balaboosta (Yiddish for “perfect housewife”).She’s a mother and wife, but also a chef busy running three bustling New York City restaurants. Her debut cookbook features 140 of the recipes she cooks for the people she loves—her children, her husband, and the many friends she regularly entertains. Here, Einat’s mixed Israeli heritage (Yemenite, Persian) seamlessly blends with the fresh, sophisticated Mediterranean palate she honed while working in some of New York City’s most beloved kitchens. The cookbook is organized not by meal type but in suggested meals or types of occasions. It makes it a little hard to navigate but it would be completely flexible how a person could mix and match the recipes. This isn't intended to be a full cookbook review, as I have two more recipes I want to try out first. I keep seeing tahini cookies mentioned in Turkish blogs, so when I saw her recipe for "Space Cookies," I knew that would be the recipe I'd try. Don't Google Space Cookies. Or do, but all the mentions I can find of them are pot cookies. That is not what this recipe is, so when I made them for my student workers, I called them "Tahini and Poppy Seed Cookies." I won't be posting the recipe because the book isn't out yet, and there's a chance it will be tweaked before it is published. I'm still not sure what I think of them. I ate two the night I made the cookies, and kept stopping and asking, "Do I like this?" Tahini is similar to peanut butter in some ways, and we use peanut butter in sweet dishes all the time. There is enough tahini in these cookies to be noticeable, maybe a bit bitter. The poppy seeds only added to that bitter element. I also wasn't sold on the texture of the cookies; lacking eggs, they had more of a crumbly shortbread texture than I personally prefer. Full disclosure: I have a bias against shortbread. And still I'm not sure what to think of the cookies. Maybe I need to make them again. What I do love about this and other recipes in the cookbook is that Admony takes ingredients we think of from the Mediterranean region and uses them in different ways. Some of the recipes are traditional, maybe slightly tweaked or improved, while recipes like this take ingredients like tahini and combine them in new ways. Just wait until I track down some cardamom in order to test the Turkish Coffee brownies! 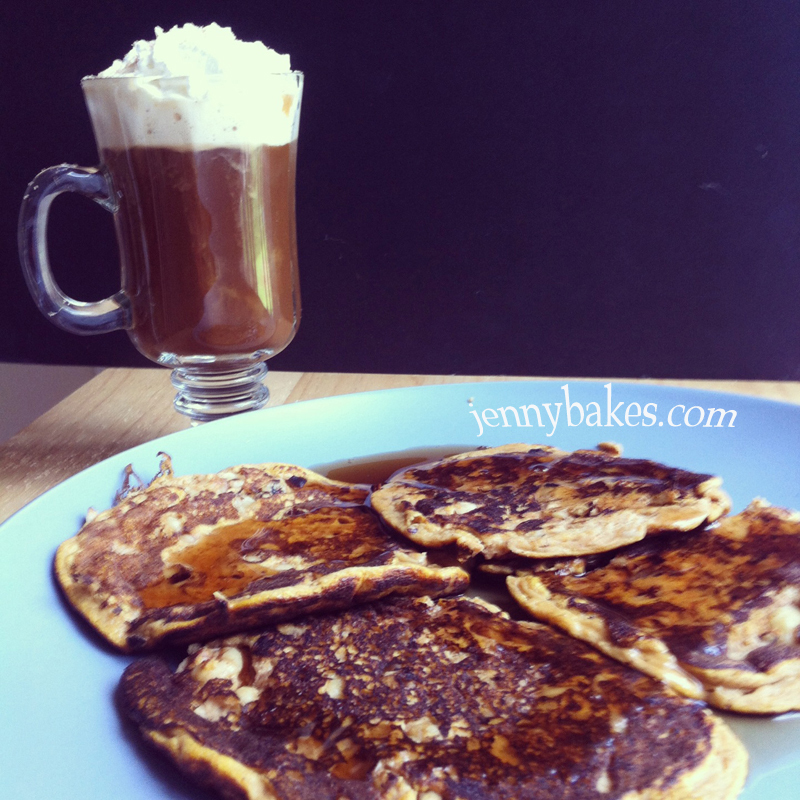 I think I post about pancakes a lot more often since we started eating low-sugar most of the time. Hey, they're a lot easier to make without bready flour and gluten! This past weekend, it started to feel like fall. Or maybe I was just really ready for fall. It is never too early for pumpkin, anyway, and I had hoarded a can of pumpkin in the back of the pantry for when this craving was bound to hit. The coffee has the pumpkin syrup recipe I blogged about last November, so check that out. The pancakes recipe is a mild tweak of a paleo recipe that I found in Pinterest. 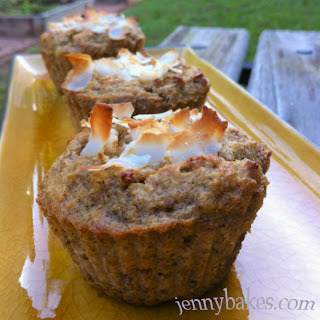 It comes from the Cupcakes to Crossfit blog, which has some great stuff on it so check it out. I'll just post my version and not her original. If you're not low-sugar and don't mind things like maple syrup, that would probably taste even better with pumpkin. It relies on coconut flour, which I am growing to really like in pancakes when used correctly. I added walnuts because I had them and they sounded tasty. Slowly sift in the coconut flour, spices, baking soda & salt. Once hot, grease the griddle with coconut or vegetable oil and pour batter into small (2-3 inch) pancakes. I used a scant 1/4 cup. If using nuts, sprinkle over the batter immediately after pouring it into the pan. One of the foods I've been dying to make in my Turkish culinary adventures is gözleme. 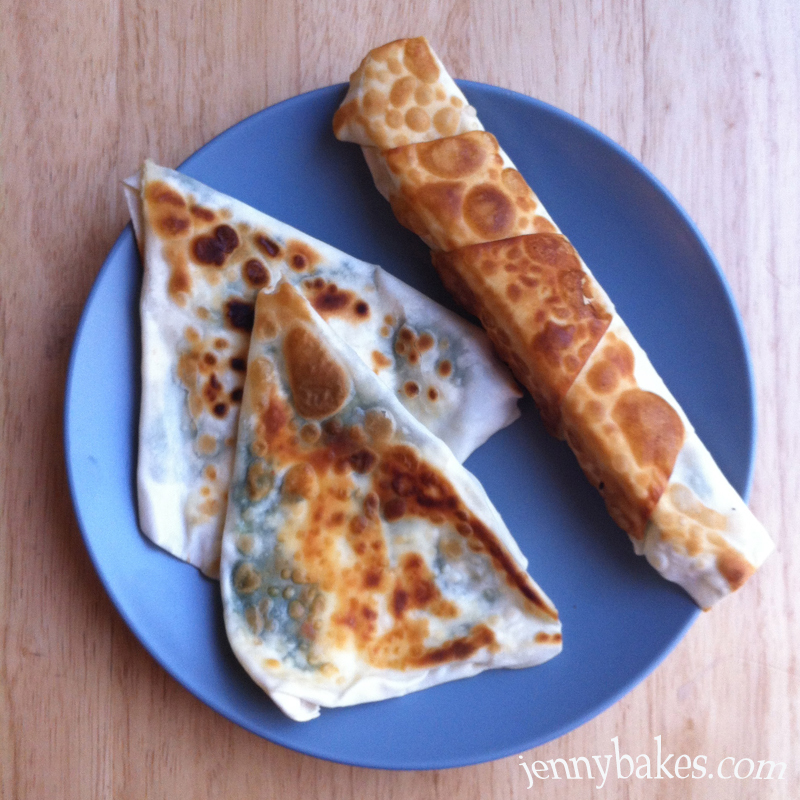 To me, it looks like a Turkish quesadilla, although it is more like a flat borek. In the picture, the cigar shaped pastry is a borek, which can come in almost any shape. I won't give a specific recipe for the gözleme, more of a formula. Use one yufka sheet (yufka is similar to phyllo but a bit thicker, if you can only find phyllo use three sheets together), place filling ingredients in the middle, seal with water along the edges, and pan fry in a little bit of olive oil. So delicious. Ispanaklı ve Peynirli Gözleme = Spinach and Cheese Gözleme. I actually don't know if I need the "ve" in there, because you don't always use the word "and" in Turkish. Peynirli means "with cheese" and Ispanaklı is "spinach." "Toppings for gözleme are numerous and vary by region and personal preference, and include a variety of meats, vegetables, mushrooms, tubers, cheeses, as well as eggs, and seasonal herbs and spices." This is something I love about Turkish food - so many variations for tasty treats! I will make this again for sure. I needed a festive cookie recipe that would still be okay a few days later through the mail, and adapted this softbatch cookie recipe for my purposes. I prefer it to a lot of the similar recipes I've seen where you basically use cake mix. 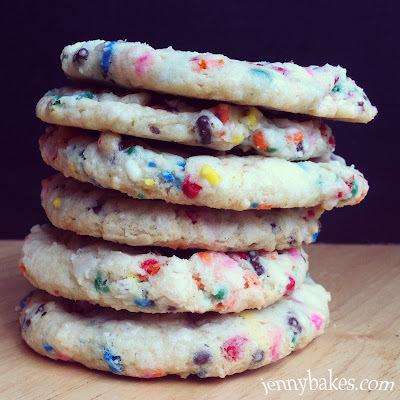 You could vary the sprinkle colors depending on your holiday, but these are soft and sweet! Beat together the the butter, sugar, egg, and vanilla on medium-high speed until creamed, light and fluffy, about 5 minutes, stopping to scrape down the sides of the mixer as necessary. Add the flour, cornstarch, baking soda, salt, and mix until just combined, about 1 minute. Add the sprinkles and beat momentarily to incorporate, less than 1 minute, or fold in by hand. Use a cookie scoop for uniform size and don't put more than 12 to a parchment paper-lined cookie sheet. Bake for 8-10 minutes, or until edges have set and tops are just beginning to set, even if undercooked, pale, and glossy in the center. These cookies should not turn golden or brown at all and should stay white. Allow cookies to cool on the baking sheet for about 5 minutes before removing and transferring to a rack to finish cooling. This summer, I read Infinite Jest by David Foster Wallace, only I didn't read it alone, I read it along with an international reading group. As we chatted about the book we talked about other things, and one reader in Germany found out I had a baking blog. She wanted to know why Americans hardly ever use poppy seeds, since some of her favorite recipes have tons of them. 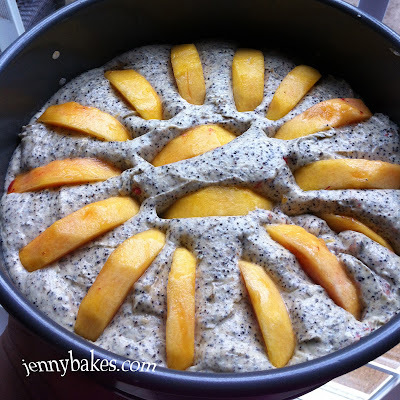 I'm not really sure why we don't, and one of my mother's standards was a lemon poppy seed cake, but it didn't have poppy seeds in it the way mohnkuchen does. Fast forward to Angelika sending me a recipe for mohnkuchen. She made an initial attempt to convert the recipe to English words and ingredients, but we still had to puzzle through items like "custard powder" and "curd." I also had to find a place to buy "ground poppy seeds" online. In the end, they don't look all that different to me from regular poppy seeds, but maybe I am missing something. Mohnkuchen translates directly to "poppy seed cake." There are many versions out there, some that have a streusel topping, some that just have the poppyseed layer on top of a thin crust, some with poppy seeds throughout a pound cake. 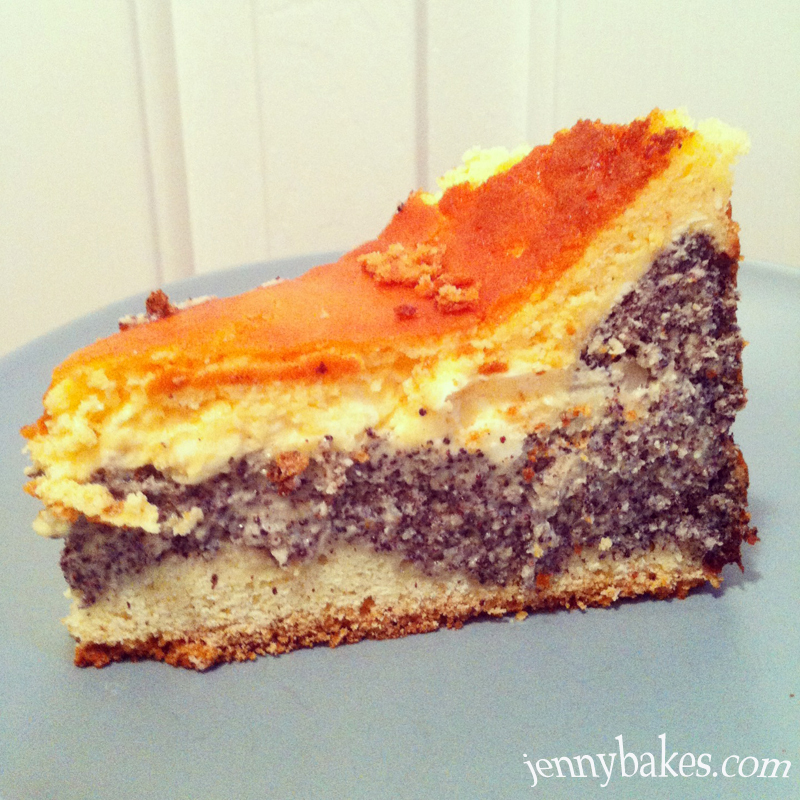 This version has a shortbread crust, a paste layer of eggs, poppy seeds, almond flour, and semolina, and a cheesecake-custard layer. I feel like I made a lot of mistakes on this baking experiment, and I'm not going to post the recipe until I've had a chance to try it again. That should help me figure out if it is user error or recipe error, or even ingredient error. I used Bird's Custard Powder for the custard powder, and cream cheese for the curd. I didn't let the middle layer cool completely. Something in there made the middle take forever to set, and that burned the bottom of the crust. It did set up overnight in the fridge, but was still clearly not quite right on the top layer. I also should have rolled out the crust and just pressed it into the pan, and you can see it isn't quite right. I still ended up bringing it to work and it was eaten. I think next time I will take more time to let the poppy seed layer cool, but also I might try it in a larger pan where the layers will be a bit thinner. I will also not wimp out on the crust rolling. And I will mix the butter and cream cheese layer together before adding the eggs for the top layer. Have any of you ever made mohnkuchen?